The 2015/16 Casidra year started off on a good note, but scurried along at a rapid pace. The onset of the New Year brought about the anticipation of starting the various initiatives that were devised at the close of the previous year. Amongst the most prominent was the newly crafted initiatives around Project Khulisa, which means ‘to grow’. This project is a Western Cape Provincial Government model that looks at means of growing the province’s economy and creating jobs. Alongside this excitement, established activities such as the farming operations at Anhalt, Waaikraal and Amalienstein, also signaled promises of good harvests for the current season. Many other projects were completed and handed over to beneficiaries. Most Casidra personnel had a short break and with renewed energy and these various initiatives, there is a positive outlook on the year ahead. The day-to-day operational programmes were crammed with the concluding of reports and the completion of projects in preparation for the approaching financial year-end. At the same time the horizon was continuously scanned to ensure that potential new projects are not missed. Casidra continues to manage the 3 government farms in preparation for transformation to the designated beneficiaries. Various engagements with transformation committee structures and government departments are ongoing while on the operational side, the farm managers, regional office and management continue to employ most sustainable production practices within various parameters, while constantly hopeful of being part of the process and excitement when these farms are transferred to the ultimate beneficiaries in the near future. Through Project Khulisa, the Ministry of Agriculture has developed its priorities for job creation and economic development in the province. Casidra was invited to be part of a number of planning sessions and workshops. The process identified three game changers, i.e. agri-processing, tourism and oil and gas, alongside a number of priority levers that will provide an enabling environment to accomplish the goal of at least 200 000 permanent jobs and sequential economic growth in the Western Cape Province over the next five years. These three game changers focus on the economic mandate of the province, whilst other game changers have been identified for the province’s social mandate. Casidra will play a central role in the implementation of these projects through its activities with various projects and interaction with the commodity structures. Another newly created provincial initiative is the Land Reform Advisory Desk (LREAD) that has been established within the Unit for Technical Assistance (UTA) at Casidra. 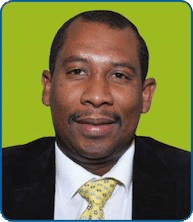 The Ministry of Agriculture Western Cape has recognised Land Reform alongside agri-processing as core themes for addressing agriculture transformation and growth. These two themes have subsequently been captured in the Western Cape Department of Agriculture’s Strategic Goals. The LREAD is tasked to provide services to stakeholders who have access to farmable land and need assistance to enhance economic growth through transformation, agri-processing, business structuring, etc. This advisory service will not only focus on primary agriculture, but will also look at the entire value-chain, which will address industry growth and development as well as job creation – 2 elements that are key to the National Development Plan (NDP). This service is anticipated to be utilised by land owners, municipalities and private businesses. In his State of the Nation address, the president also hinted on the development of national Agri-parks. A R2 billion budget has been allocated for the creation of such parks within 27 of the poorest district municipalities in South Africa. Casidra continues to deliver on its mandate to implement projects of varying nature within the spheres of agriculture, the environment and business development. Rural development is a strong focus due to the requirements of its clients and with these new provincial initiatives and stronger relationships, Casidra looks forward to being a key contributor to economic development in the province and ultimately the country.